I recently purchased the Behringer Model D. And yes, there is a lot of controversy regarding Behringer making clones of old sysnths, but I don’t want to get into all that. What I do want to get into is the lack of control over the pitch wheel, transpose, and multi-trigger. From the minute I plugged it in, I struggled with the pitch wheel being set at +12. Granted, all this can be setup via MIDI sysex messages, but unless you are well-experienced with MIDI (or are a rocket scientist), this is hard to know how to do. Until now. Now there is an easy to use app for both Windows and Mac called ConfiguratorModelD that makes using sysex to setup the Model D quick and easy. After a quick download and install, I had the Model D connected and running exactly the way I needed. One tip here…you’ll need to connect the Model D to your computer via USB. 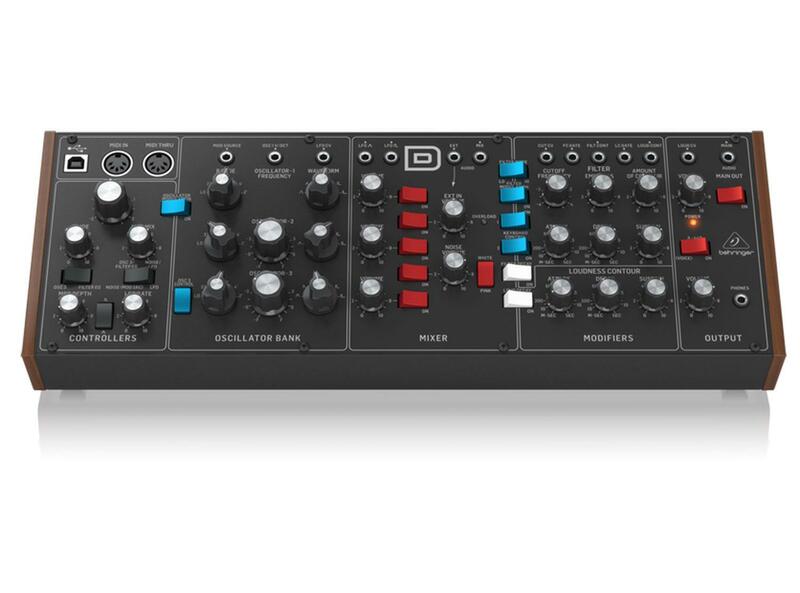 then, big controllable Moog tone for little money. Big thanks to masc4ii for his work on this! Where do I send my contribution?